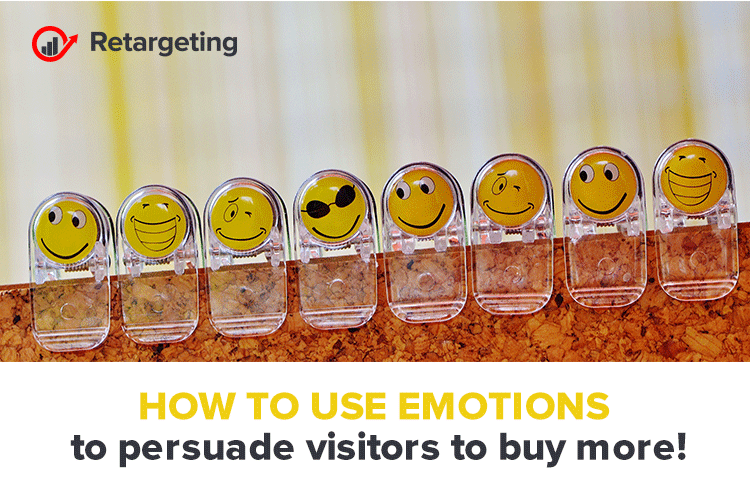 How to use emotions to persuade visitors to buy more! Many people think a logical argument with facts, figures and product specs is the best and only way. The truth is that the brain is quite emotional. A better understanding of how the brain makes decisions and how emotional persuasion works will help you improve conversions and your bottom line. Why does emotional persuasion matter? Enter dual process theory, which states that there are two different systems within your brain: system one and system two. System one is automatic, unconscious, low effort and fast. System two is controlled, conscious, high effort and slow. System one is our emotional processor while system two is our rational, logical processor. Since system one is always on, you are more likely to instinctively make an emotional decision and rationalize it later. Even seemingly rational decisions are influenced by emotion. As a result, we simply aren’t as in control of our emotions and decisions as we like to think. None of us are! So, it’s the marketers leveraging emotion who are getting ahead and boosting conversions, not the marketers who are making the best logical argument. Emotions are messy and complex, which is why a clearly defined process to guide you is even more essential than usual. You need to know how to apply emotional persuasion techniques to your specific audience. You will feel a wide variety of emotions in your lifetime. All of them, to some degree, will influence your decision making. There are a few core emotions that each have a big impact. They’re emotions that system one is quite familiar with: sadness, anxiety / fear, awe, and anger. If you’re able to appeal to these four emotions, you will be able to persuade visitors and influence their decisions. – perform the action you suggestion. A single word can’t skyrocket your conversion rate. Some words are more likely to trigger emotion than others, which you can use to your advantage. Storytelling is another key component of emotionally persuasive copy. Studies have proven that our brains are much more engaged by stories than facts. – arrows, hands and eyes can be used to direct attention and facial expressions can be used to evoke emotion. We are emotional creatures with a habit of rationalizing, not rational creatures. It’s important to accept it and become more aware of how emotions are impacting decision-making. In doing so, you can truly understand how to use emotions to persuade visitors and increase your conversions.